Agiofarago at the south west side of Asterousia mountains is one of the few canyons of Crete that we can ride through it with a bicycle. 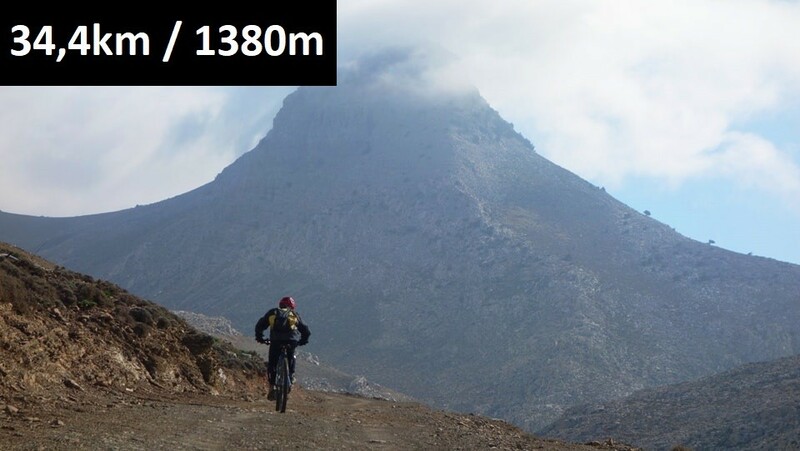 The wild scenery of Asterousia, the impressive canyon and the crystal clear water at the beach make the route one of the most beautiful in Crete for beginners as also for experienced cyclists. 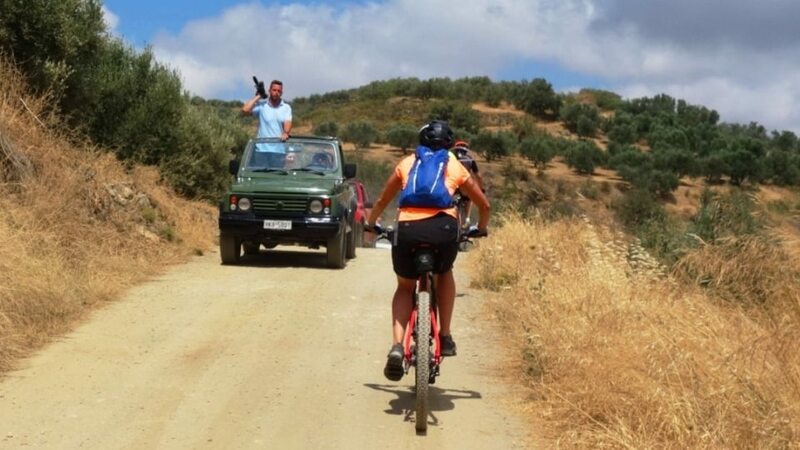 If you are a novice cyclist and you do not want to be exhausted or if your just want to pass the canyon you can start the route from the Odigitria Monastery where the asphalt road ends and there is parking area. 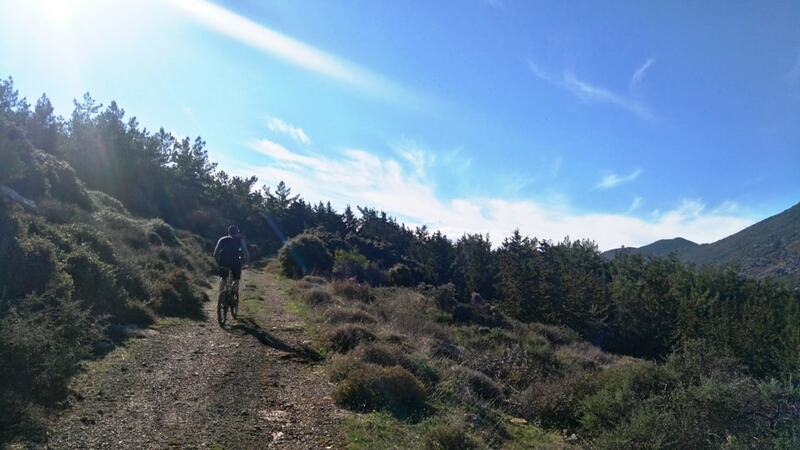 If you wish to make a longer bike tour, start from Sivas village one of the most beautiful and traditional of Messara area where there are taverns and rooms to let. Those who wish to spend the whole day or to camp on the beach should be supplied with plenty of water and food as there is no tavern or cafe in the canyon. Some people maybe do not want to drink water from the well of Saint Antonios church. On the beach there is no shade except the trees and shrubs in the canyon. If you want to do some hiking and climbing, you can climb the rocks east to reach Vourvoulitis, a water-pond with brackish water, maybe the most beautiful in Crete. If you follow the long tour you will pass through pastures. There are some doors to open and close again. 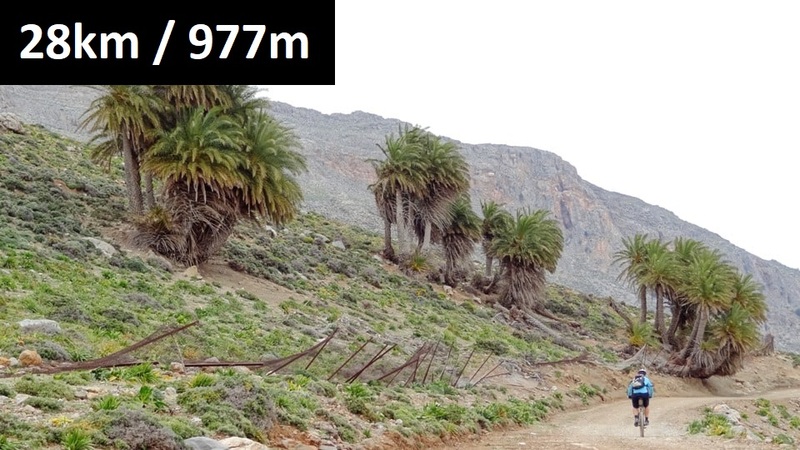 Asterousia the barren mountains on the southern coast of Heraklion prefecture are also called Mount Athos of Crete. Because of their remoteness from populated areas and the rough and barren landscape is the ideal isolated place for hermits and monks and many monasteries were built in the area. Agiofarago on the west side of the mountain range, between Kala Limania and Matala, took its name from the hermits who lived in the caves. According to the legend in Agiofarago there were previously 300 hermits isolated from each other. Every year on the day of the Resurrection, they gathered in a large cave, the "Igoumenospilio", and to check how many had died the past year. The entrance is small but internally the cave is big and a hole in the roof allows the natural light to enter. 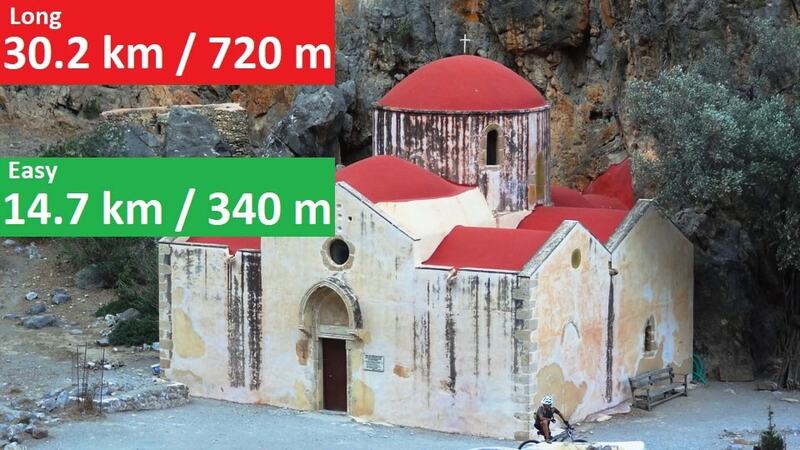 The only building in Agiofarago canyon is the church of Agios Antonios, a beautiful chapel of stunning architecture. Unfortunately, the frescoes of the temple have been destroyed because they are close to the sea. Next to the chapel there is a well with bucket and rope for water, it is the only source in the canyon and was used by the hermits. 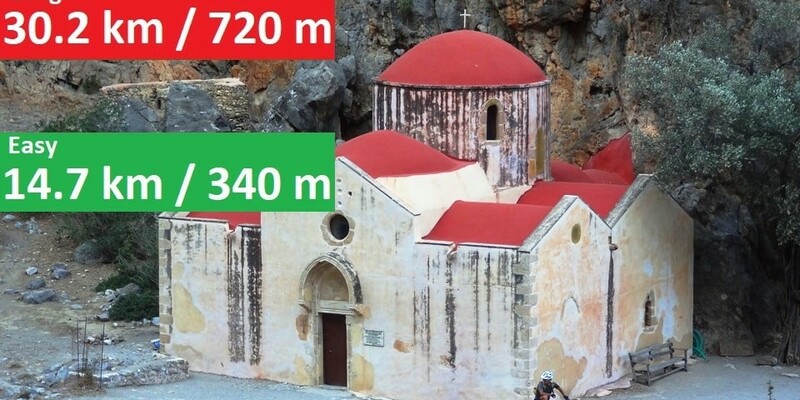 Agiofarago belongs to the Odigitria Monastery, one of the most historic of Crete, that has been built in a fortified location with a fortress architecture and has been connected with the Cretan revolution for liberation against the Turks. Part of the fortress walls are still visible, the most impressive is the Xopateras Tower, the legendary rebel monk. At the center of the monastery's courtyard is the church dedicated to the Assumption of the Virgin Mary and the Apostles Peter and Paul. There is also a Museum (with free entrance) with many religious heirlooms as well as items of everyday household use as well as agricultural - shepherds tools.